Are you in search of a rear disc for your ATV? Wild Hare Manufacturing not only sells a rear ATV disc implement; all the quad attachments we offer are powered by a full hydraulic system. Yes, even the Wild Hare 3 Point Disc. Spark your interest? It should, because we are dedicated to providing products that are first-in-class. You can see from our reviews, our videos, and our warranty that we deliver. 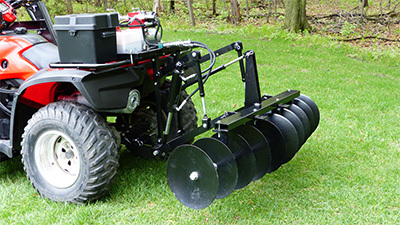 A disc attachment, also known as a disc harrow, is great for getting soil ready to plant by aerating, breaking up dirt clumps, cutting weeds, and leveling the area. With our powerful hydraulic ATV disc implement you can shorten the time it takes you to do so many tasks. Forget pushing a tiller around. Just sit back and enjoy the ride and the amount of power and control you have with the Wild Hare ATV Disc Implement. Connect the disc to our hydraulic 3 point hitch in barely a minute and you’re off to work, even though it may seem like play. Break up and distribute the soil while staying on your quad the entire time. Our rear disc implement attaches to our 3 point category “0” hitch to utilize the robust hydraulic system which provides enough downward force to easily lift the tires of your quad off the ground. A simple rocker switch allows the entire implement to raise and lower, making traveling easy when the attachment is not in use. The control and power is at your finger tips. This is efficiency at its finest. Our quality ATV accessories allow for a stable and productive ride that easily meets your specific needs. If you have a sizable property, chances are you’ve got a 4 wheeler or two. 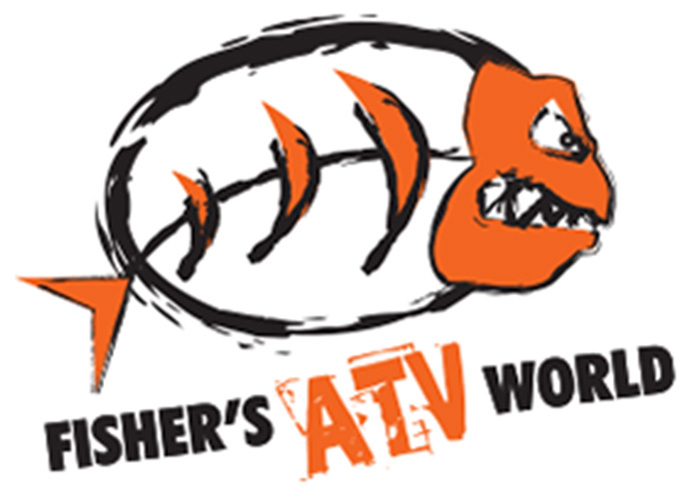 Why not put one to work and relieve yourself of strenuous duties with the help of Wild Hare Manufacturing and our tough line of ATV attachments and implements? Time is money. Don’t waste your time straining away when you could be riding tall on your 4 wheeler while your Wild Hare ATV Implement System does all the work for you. Make sure to check out our videos, Facebook page, testimonials, and search the FAQ page. Shop online for individual attachments, or check out our packages at special discounted prices. Contact Wild Hare Manufacturing for questions on any aspect of our hydraulic powered discs or any other ATV implements we offer at info@wildharemfg.com. Or call 218-483-1000.